Getting Started: What is Obesity? In 2009, First Lady Michelle Obama planted the White House Kitchen Garden on the South Lawn to initiate a national conversation around the health and wellbeing of our nation. That conversation led to Let's Move!, an initiative launched in 2010 dedicated to helping kids and families lead healthier lives. 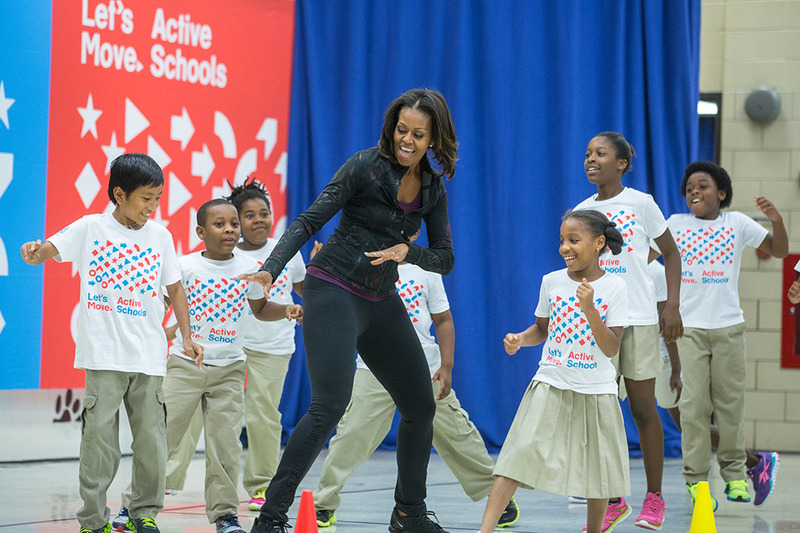 At the start of Let's Move!, President Obama established the first-ever Task Force on Childhood Obesity to develop a national action plan to mobilize the public and private sectors and engage families and communities in an effort to improve the health of our children. Combining comprehensive strategies with common sense, Let’s Move! is about putting children on the path to a healthy future during their earliest months and years; giving parents helpful information and fostering environments that support healthy choices; providing healthier foods in our schools; ensuring that every family has access to healthy, affordable food; and helping children become more physically active. Everyone has a role to play to ensure all of our kids grow up healthy, and through lasting policy, programs, and public-private partnerships, Let’s Move! has enabled impactful progress. Transformed the school food environment through the Healthy, Hunger-Free Kids Act, which updated school meal nutrition standards for the first time in 15 years and increased funding for the first time in 30 years. Through this law, American public schools offer healthier school meals and snacks for over 50 million kids. In addition, it increased the number of students who could get school meals at little or no cost, and ensured that any food or beverage marketed to children at school meets specific nutrition standards. The nutrition of meals and snacks served at child care was also improved, emphasizing more whole grains, a greater variety of fruits and vegetables, and less added sugars and saturated fat. 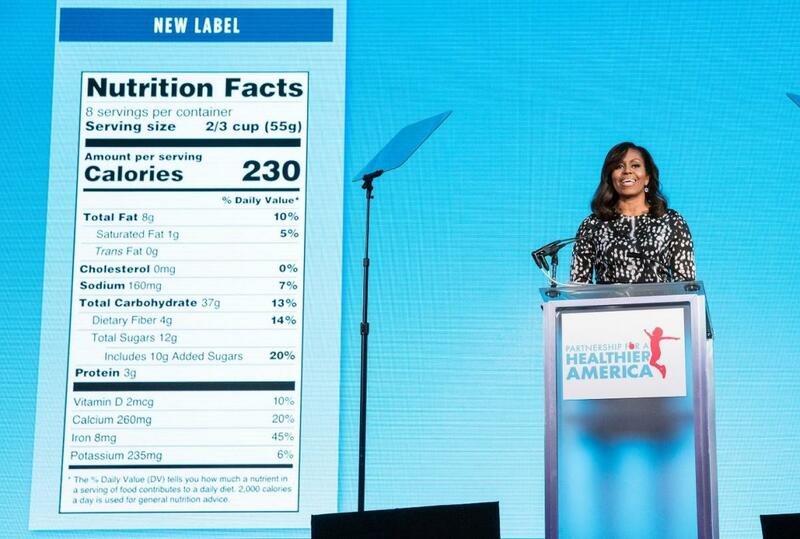 Announced the Food and Drug Administration’s modernized Nutrition Facts label for packaged foods reflecting the latest science, the most relevant nutrition information, and a refreshed design in an effort to provide families with the information they need to make healthy choices. Launched the U.S. Department of Agriculture’s MyPlate and MiPlato, easy to understand icons based on the five food groups, to help Americans make healthier choices. Increased access to fruits and vegetables through Let’s Move! Salad Bars to Schools, providing 3 million students with a salad bar. This effort is led by the Centers for Disease Control and Prevention at the U.S. Department of Health and Human Services and was founded by the Chef Ann Foundation, National Fruit and Vegetable Alliance, United Fresh Start Foundation, and Whole Foods Market. Started Let’s Move! Active Schools so kids could attend schools that strive to make 60 minutes of physical activity a day the norm. Reaching over 12 million kids, this program equips schools with a customized action plan to create active learning environments. It is led by the Partnership for a Healthier America and the U.S. Department of Health and Human Services. Partnered with the U.S. Olympic Committee and several of its national governing bodies to provide beginner athletic programming for free or low cost to more than 1.7 million kids in 2012 and nearly 2 million kids in 2016 in support of Team USA and the Olympic Games. Updated the President’s Challenge Youth Fitness Test to reflect the latest science on kids’ health and promote active, healthy lifestyles rather than athletic performance and competition. Also expanded the mission of the President’s Council on Fitness and Sports to include nutrition, changing the Council’s name to the President’s Council on Fitness, Sports & Nutrition and increasing the number of Council members from 20 to 25. Created Let’s Move! Outside in collaboration with the U.S. Department of Interior to encourage kids and families to take advantage of America’s great outdoors. As part of President Obama’s commitment to ensure that every American has the opportunity to visit our nation’s more than 2,000 federally managed lands and waters, the Every Kid in a Park initiative allows fourth graders nationwide to obtain a pass for free entry for them and their families. 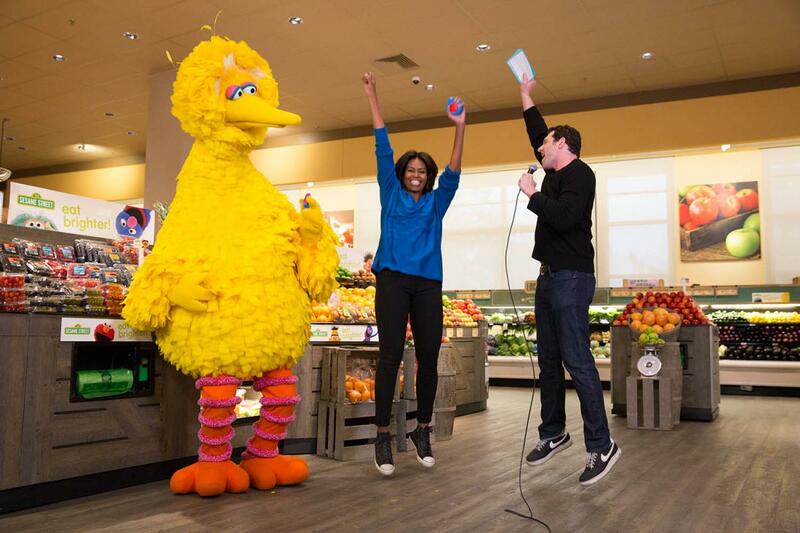 Championed over 225 corporate commitments and partnerships with First Lady Michelle Obama as the honorary chair of the Partnership for a Healthier America, a nonprofit helping the private sector make the healthy choice the easy choice. These commitments and partnerships showcase how the private sector can be an active part of the solution in supporting a healthy food system and society with increased availability of healthier products. Leveraged the power of marketing through three signature campaigns to encourage Americans to consume more fruits and vegetables and drink water. Together Sesame Workshop and the Produce Marketing Association promote kids’ fruit and vegetable consumption through eat brighter!. The Drink Up campaign is an unprecedented collaboration of companies promoting water, resulting in increased sales and consumption of water each year since its launch. Establishing one iconic brand for fruits and vegetables, FNV harnesses the power of celebrities to deliver a healthy dose of advertising. These efforts are in collaboration with the Partnership for a Healthier America. Created Let’s Move! Cities, Towns and Counties to assist local elected officials in building healthier communities across the country. Over 81 million people – or 1 in 4 Americans – have benefited thanks to the more than 520 local elected officials that have committed to the program. This effort is a partnership between the National League of Cities and the U.S. Department of Health and Human Services. Launched Let’s Move! Child Care to ensure that our youngest children are getting a healthy start. Over 1.6 million kids attend a child care site where the provider has committed to improving the nutritional quality of the meals and snacks served, increasing opportunities for physical activity, and limiting screen time. This effort is a partnership between the U.S. Department of Health and Human Services and Nemours. 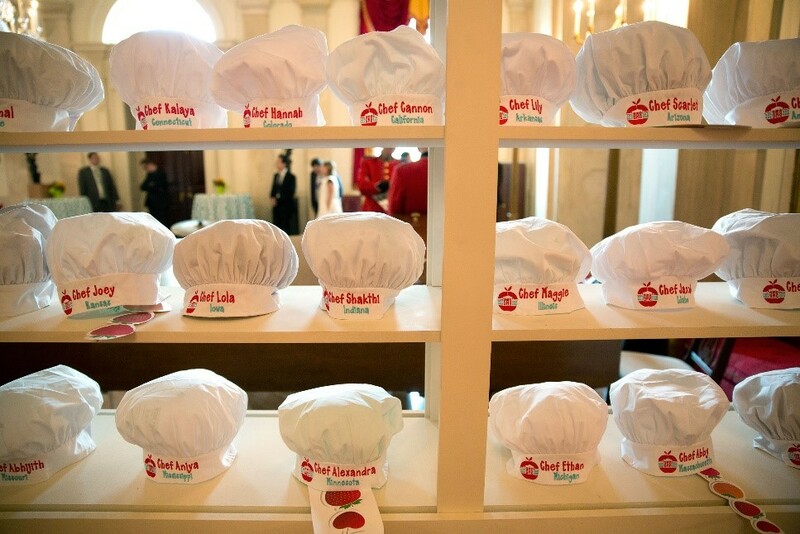 Created the Healthy Lunchtime Challenge and hosted five annual Kids’ “State Dinners” to promote cooking and healthy eating, where altogether over 6,000 recipes were submitted and more than 270 young chefs and their families were welcomed to the White House. The challenge invited kids ages 8-12 to create original, healthy, affordable, and delicious a lunch recipe. To see the complete record of what the Obama Administration has accomplished on improving health, go here.